Balloon Sinuplasty™ technology is a FDA-approved, endoscopic, catheter-based system for the relief from sinusitis. Balloon Sinuplasty™ technology uses a small, flexible, sinus balloon catheter to open up blocked sinus passageways, restoring normal sinus drainage and function. When the sinus balloon is inflated, it gently restructures and widens the walls of the sinus passageway while maintaining the integrity of the sinus lining. 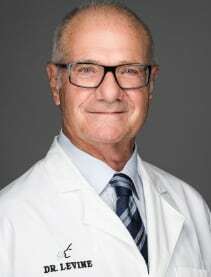 Howard L. Levine MD, trained in Balloon Sinuplasty™ technology, has been a research advisor and member of the scientific advisory board for Acclarent, the developers of Balloon Sinus technology. Dr. Levine has been involved in the development and research of Balloon Sinuplasty™ technology since its inception in 2005, has performed over 1,000 cases and taught numerous physicians Balloon Sinuplasty™ across the United States and around the world. A small guide and soft, safe flexible wire is threaded into the sinus under the cheek. A balloon is inserted into the sinus over the guide wire and inflated to remodel and expand the sinus passageway. Infected mucus can be washed from the sinus to relieve pressure and pain and start the healing process. The sinus remains open after the procedure without packing or nasal dressing. The Balloon Sinuplasty™ technology uses small, soft, flexible devices that enter entirely through the nostrils. These devices gently open blocked sinus passageways, and in many cases, without tissue or bone removal. Many patients can have their sinus problems treated in the office under local anesthesia. When using Balloon Sinuplasty™ technology, it is common that no tissue or bone is removed. Resulting in reduced bleeding than with traditional sinus surgery and no need for uncomfortable nasal packing. While recovery time varies, many people can return to normal activities within 24 hours. As with use of any surgical instrument, there are risks, and results may vary from patient to patient. Talk to Dr. Levine about your specific condition to find out if using the Balloon Sinuplasty™ system is right for you.